Posted on June 15, 2018 by Karatzas Marine Advisors & Co.
It’s an even-numbered year and it’s June, which – for those in shipping – can only mean one thing: it’s Posidonia time! And, Posidonia it was, the 50th occasion of the international shipping community convening to Athens for the industry’s flagship event. The cold facts: it has been reported that more than 100 countries have been represented, more than 1,800 exhibitors showcased their trades and more than 22,000 visitors attended the event with an estimate of half of those visitors originating outside Greece. No one could doubt, based on such enormous numbers, the significance of the event to the maritime industry, and, by association, the importance of Greece and the Greek shipping community to the maritime industry. 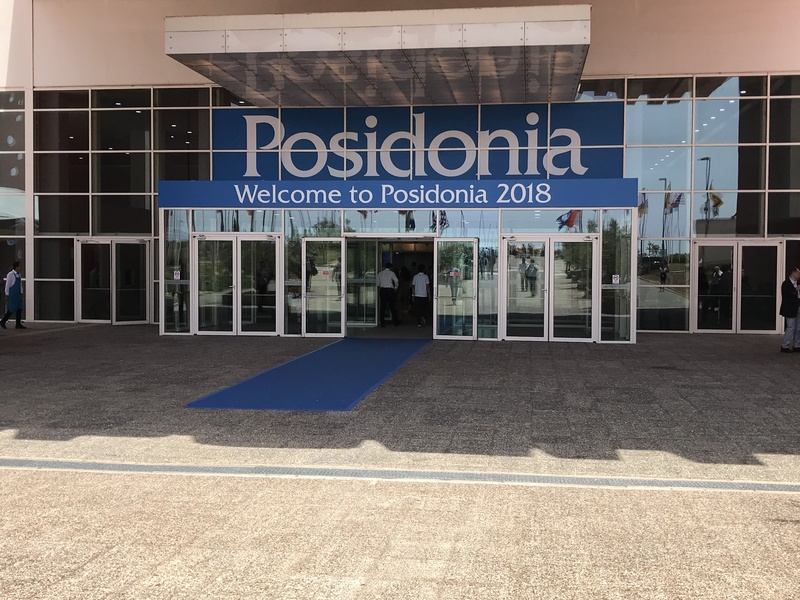 Posidonia has been a truly “must attend” shipping event for its size, the wealth of market info available, and, this being Greece, for its fun, party scene and the great weather! In June 2008, when the shipping markets were white hot and the BDI was topping 12000 points, the Posidonia attendance was standing at just 16,000 visitors; now, ten years later and the BDI at a tenth of its former glory (presently appr 1300 points), the Posidonia attendance was higher by almost 36%. It does seem that Posidonia 2018 was marginally better attended than Posidonia 2016 which was better attended than 2014, which was … Posidonia once again proves that it’s an exhibition with eternal appeal, in good and bad times, where participants congregate to seek market intelligence. Given the state of the freight market in the last decade, there has been no exuberance this time around with the by-now famous “Posidonia party scene”, since long are the times when company parties were esteemed by the number of Russian models in attendance. However, we have noticed that there have been many more corporate events and receptions than in previous times, quite often discreet and with less noise; mostly dinner receptions where guests could discuss market developments under the full moon in the Greek summer breeze with a drink in their hands. Seeing greater social activity but of less noise and of higher caliber has been an encouraging observation, in our opinion, as it’s a sign that the market gets back to fundamentals and away from the pretense of the past times. Although freight markets are weak, and frankly the crude tanker freight rates downright painful, we noticed an air of solid perseverance and mild enthusiasm. Posidonia traditionally has been one of the most optimistic conferences in shipping, in our opinion; however, this time we did not notice vainglorious enthusiasm of “bring it on” but rather guarded optimism that since we have survived these terrible markets so far, there is little else that can shock us. Things are getting better, or at least they will get better. Probably this weird mix of sarcasm, resilience and enthusiasm is another sign that the market is reverting back to the fundamentals and logic and away from unfounded enthusiasm and speculation. And, what a better sign of speculation than newbuilding orders? While in the good times Posidonia was a time of announcing of massive newbuilding orders – just to keep up with the Joneses – this time around, there barely have been any newbuilding announcement; for sure, there have been a couple of them, mostly from well established shipowners and with an LNG focus, but the majority of the market has been keeping clear of new orders. Probably another encouraging observation that the market is slowly shifting back to fundamentals. Newbuilding orders cannot take place without plentiful and cheap financing, and speaking of the devil, there barely were any financiers in the whole greater Athens region! In the past, shipping banks hosting Posidonia parties used to be a parallel event of its own; this time around, just a handful of banks held discreet dinner parties for their clients and closed advisors with little outward attention. And, even more importantly, a complete dearth of equity fund, hedge funds, mezz funds, credit funds, alternative capital funds and other representatives of “master of the universe” species… Most of the financiers we saw were traditional long-term shipping market players who have been through the ups and downs of the industry a couple of times. Gone were the opportunistic or speculative investors who were de rigueur in previous Posidonia, another sign of the market’s efforts to revert to the mean. On the funny side of things, shipping financiers seem to be getting special attention as shipping finance is very hard to come by these days, and shipping financiers are as precious as the apple in one’s eye these days. Shipping finance has been a hot topic of the exhibition, as one would expect. 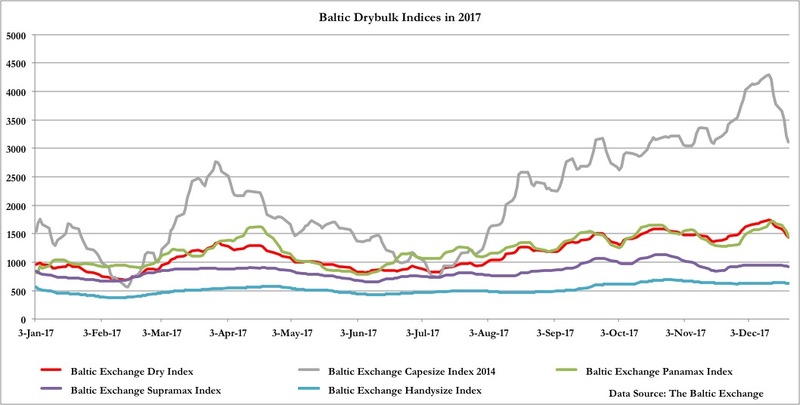 Despite selective activity, most shipping banks keep exiting the industry and dumping shipping loans, while the cost of capital keeps going up for most, not to mention the increasing interest rates that pose an additional risk to the industry at a time of soft freight rates. Chinese leasing has been a strengthening trend as well as preference by shipping banks for corporate loans (instead of asset-based ship mortgages), while institutional investors kept bearing the deriding scorn of “dumb money” in shipping and the sinners of a tonnage oversupplied market. But the critical topic of Posidonia 2018 has been the upcoming regulations for fuels and emissions; and, here, we left the exhibition as uncertain as we were when landing in Athens at the beginning of Posidonia. Multiple panels and presentations and opinionated discussions on emissions, but we drew the conclusion that no-one really has a crystal ball on the subject; the possible outcomes ranged from this being a non-event (postponement into the future) to being a catastrophic event (too costly and not enough volumes clean fuels) that would reset the industry to this being the greatest thing in shipping in the last decade (accelerated scrapping and disappearance of less-capitalized shipowners.) A wide range of opinions indeed that render decision-making in such a challenging environment not dear for the meek in the heart; but again, that’s how money is made. The Greek shipping community still stands strong, and, in general, in the news in the last few years, especially when it comes to opportunistic vessel acquisitions in the secondary market. 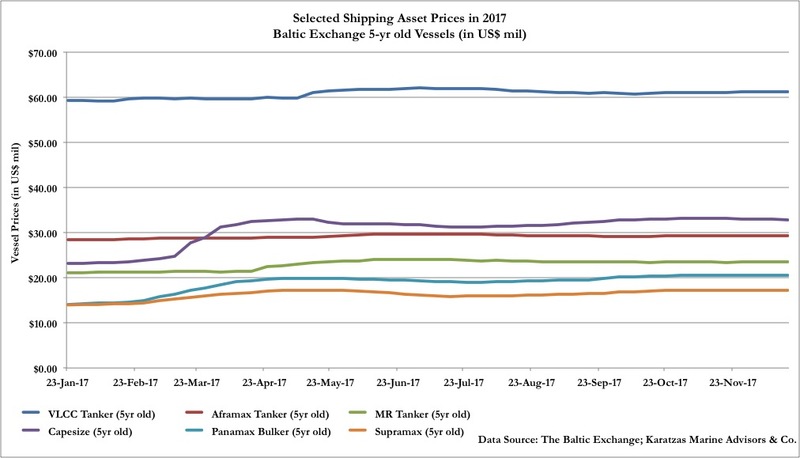 Despite market challenges, Greek shipowners keep buying ships (occasionally even at high financing costs), and this purchasing activity contrasts them to other shipping nations that have been less active, or even net sellers of vessels. Thus, a few self-congratulatory remarks were to be expected here and there. Posidonia is for sure the shipping event to attend; so much info to be learned as the as the vastness of the big ocean itself! 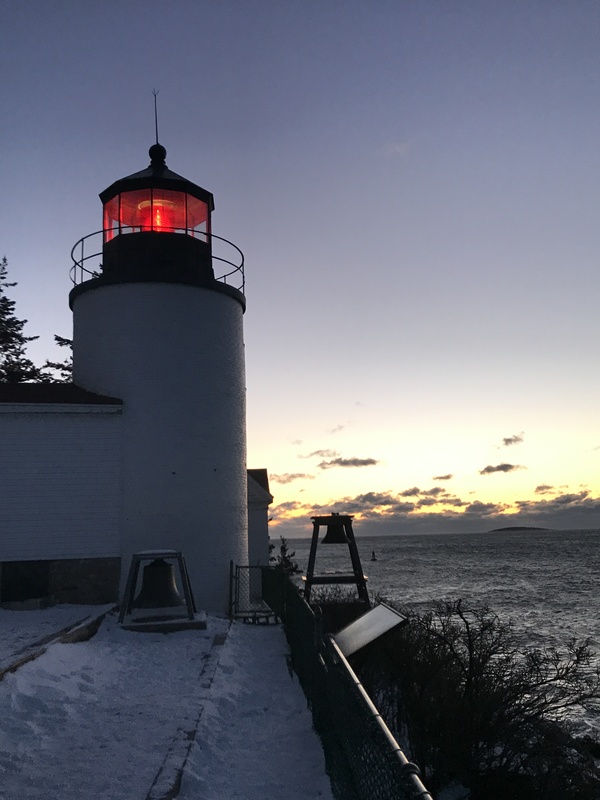 Posted on July 15, 2017 by Karatzas Marine Advisors & Co.
We apologize for the absence of an update for almost a month to those who have found this blog worthwhile to subscribe to and follow it regularly. 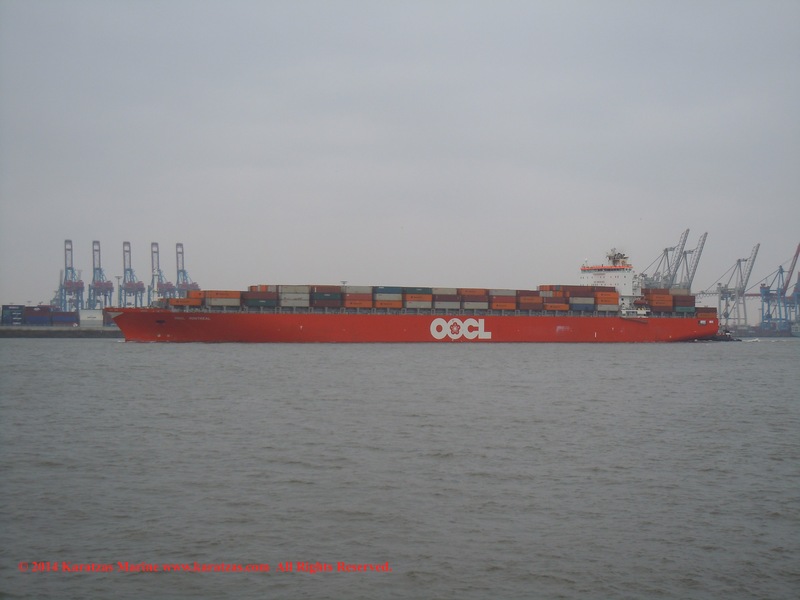 Panamax Containership MV ‘OOCL Montreal’ sailing upstream in Norderelbe, Hamburg. Image credit: Karatzas Images.